Unfortunately in 1974 the Nike Site of Bristol was closed by DOD. All the radars, towers, buildings and most all evidence that a Nike missile site was there is gone. The pits where the missiles were stored in the launcher area were sealed and the launcher area now is part of Roger Williams College. The IFC area on Mt Hope as far as I know from fairly recent photographs is just a wild brushy area with cement foundations still visible here and there and the old fence and main gate still there but badly rusted. From the top of the old Mt Hope IFC area one could see a major portion of Rhode Island and Fall River, MA east of there. From the HIPAR tower on the 90 foot catwalk the view was FANTASTIC! What an area that would be for a town park! C Battery, 4th Msl Bn, 56 Arty, Bristol, Rhode island. The "hill" where all the radars were is the somewhat cleared side on the right of the rectangle on the satellite photo. The old access road coming into the IFC area can be seen on the top left of center. 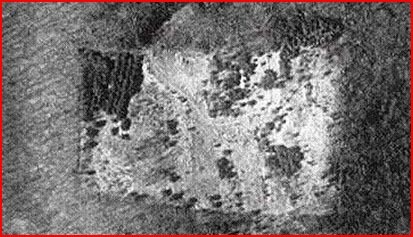 There are many bare spots in the satellite photo that have only short weeds instead of trees like the surrounding area. The reason for this was the "hill" was solid rock (granite I believe). All holes for building foundations, guy line anchors and antenna foundations had to be blasted either by a civilian company or the Army Corps of Engineers. Area as it looks now where the HIPAR and tower stood looking NE.